For many long years, Russia's population has had an opportunity to observe the extraordinary relationship that ties a simple Chechen to his highly-placed Moscow patron. Such marriages are made in heaven: last week saw yet another demonstration of this secret agreement by which the protégé receives a lifelong right to kill anyone who, in his opinion, deserves to die. The story of the attempted contract killing of Isa Yamadayev, who last week published an open letter to President Medvedev in the Moskovsky Komsomolets newspaper, is unique in that Ramzan Kadyrov is for the first time becoming personally implicated in a serious criminal case. After the testimony he gave within its framework, the Chechen leader is bound to become a suspect in the organization of three murders – or, at any rate, of one. Let me briefly recount the principal episodes of this gripping detective thriller. 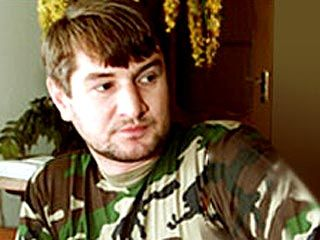 In July last year an attempt was made on the life of Yamadayev, a Chechen businessman and Hero of Russia The law enforcement agencies received information about the forthcoming murder in good time, and replaced the live ammunition in the killer’s gun with blanks. When the criminal attack took place, the assailant was neutralized. Three weeks ago the Investigative Committee of the Russian Prosecutor General’s Office let it be known that the principal suspect in the case was Shaa Turlayev, a close adviser to the Chechen President. However, the story has had an unexpected sequel. In his testimony, which were published along with Yamadayev’s letter, Khovazh Yusupov (the unsuccessful contract killer) claims that the murder was organized on the direct orders of President Kadyrov, who in the course of a face-to-face meeting forced him to carry out the killing under the threat of reprisals against his immediate family. Moreover, Kadyrov allegedly said he had earlier killed Yamadayev’s two older brothers, Ruslan and Sulim. Those who wish to acquaint themselves with the details can click the above link (in Russian). I shall, however, focus solely on the political circumstances of the case. The first question many commentators asked was whether there had been any reaction from Medvedev. To most of them the answer was clear from the start. Kadyrov is subject to no restraint but that exerted by Vladimir Putin, who will tolerate no encroachment on his diocese, whether by Medvedev or the hand of the Almighty. From Yamadayev ‘s statement we know that Yusupov pointed the finger at Kadyrov almost immediately after his arrest. In other words, the investigators were in possession of this knowledge seven or eight months ago. A criminal case should therefore have been opened at that time. But it seems that this did not happen, and on April 8, when the matter finally went to court, Turlayev was named as the principal suspect, though according to Yusupov Turlayev was only an intermediary who arranged the face-to-face meeting with the head of the republic at which the planned murder was discussed. For purely technical reasons, the Investigation Committee was obliged to open a criminal case, because the existence of evidence against Kadyrov, and was only able to avoid doing so as a result of in interference in the investigation from outside, and probably from the top. Given the body of evidence that has now accumulated, one must suppose that the Prosecutor General would not have instructed the investigators to act in flagrant violation of the law. The pressure must have been exerted by someone so powerful that in certain cases he had the right to suspend the operation of the law. This should surprise no one. It is only a couple of weeks since State Duma deputy Adam Delimkhanov – a relative and close associate of Kadyrov – emerged unscathed from the Dubai court’s accusation of having masterminded the killing of Sulim Yamadayev, Isa’s brother. One might recall other high-profile cases, in Russia itself and abroad, but there is little point. Why discuss individual cases, when the right to kill an unrecorded number of citizens has long been granted to the present Chechen leader, and has seldom been reviewed. The only changes in the license to kill have involved its extension from the territory of the war, first to Russia and then to the whole planet.